Upon starting his working career at Lloyds Bank, Mat quickly realised he had a flair for customer service and sales. In 1996, Mat started his recruitment career at Adecco learning all about the recruitment industry. Two years after joining Adecco, he moved to a smaller independent agency as the Senior Permanent Consultant then on to Hunter Appointments in 2002 specialising in the fenestration sector. 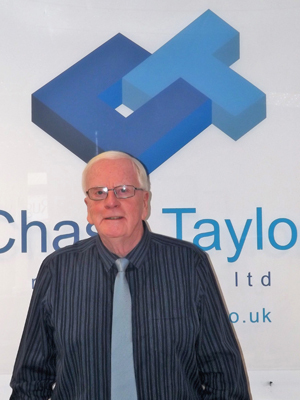 In 2012 from a single roomed office, Mat started Chase Taylor with a vision to build one of the largest agencies in the Fenestration industry. To date the business has grown rapidly and enjoyed enormous success both within the UK and overseas. Mat has extensive network of candidate and clients within the fenestration, glazing and construction industries and uses this network along with his expert knowledge of the industry. There is little Mat cannot do when it comes to helping candidates and clients alike. 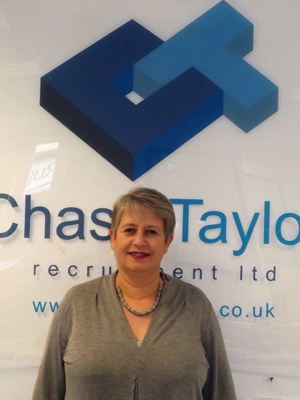 Alison is an integral part of the Chase Taylor team providing invaluable support and knowledge to all members of team. Coming from a background in Financial Services and Banking, including time in the Professional Sport industry, Alison’s role at Chase Taylor covers many aspects vital to the smooth running of Chase Taylor. These include credit control, finance, customer services and supporting the Sales and Marketing function as well as administrative and IT-related tasks and overseeing the office and staff management. 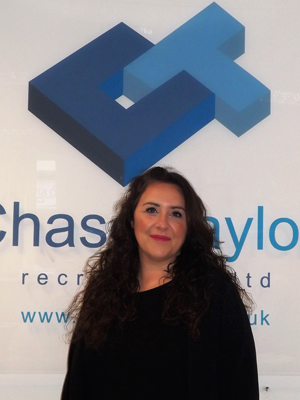 Following the completion of a Master’s degree in Business Psychology, Emma joined the Chase Taylor team in October 2015. Emma’s focus is on promoting the company brand across the industry and keeping in contact with candidates and clients through email marketing, social media, job advertisements and more. From the summer of 2017 Emma has extended her position to include various administration tasks and providing support to Alison. Keep an eye on your inbox for the latest Chase Taylor news, offers and be sure to follow us on Twitter @ChaseTaylorRec ! Sarah has a well-established career within the recruitment industry totalling 15 years, with 9 of those based in the construction sector. Beginning her career in a sector closely related to Fenestration Sarah easily transitioned into her Consultant role with Chase Taylor. During her time with us, Sarah has dealt with a wide range of fenestration vacancies from Installers through to Production Management. She is always eager to take on new roles and extend her knowledge of the various and exciting positions within the Fenestration Industry. Martyn has 20+ years of recruitment knowledge, covering a wide range of recruitment industry roles - from Legislation, Compliance & Best Practice, Health & Safety, NEBOSH, Auditing and BSI Quality Management System. Starting his career with a focus on the Building Products Industry Martyn has dealt with both permanent and temporary recruitment. Martyn is always looking forward to hearing from talented, successful people looking for a permanent positions in the industry or managing client enquiries. Graham has a wealth of experience and knowledge into what the Fenestration Industry needs and what makes it tick. Starting his fenestration career as Commercial Manager with Indigo products, Graham progressed his career through the roles of a National Sales Manager, Group Operations Director and Managing Director with several companies engaged in both the trade and domestic fields. During this time, being responsible for sales, production and installations. 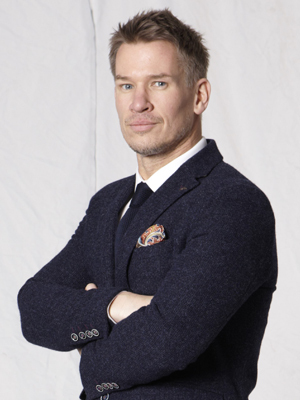 Graham actively keeps an eye on the latest news and developments within the industry to ensure he is always at the top of his game in finding the right candidates. As Contact Manager, Emma reaches out to engage with our many candidates, clients and organisations. 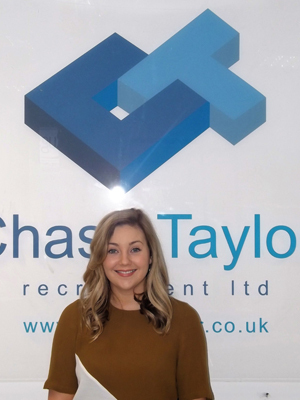 Coming from a very customer focused background, Emma has invaluable experience in dealing with clients as well as candidates ensuring their needs are met and maintaining valued relationships. 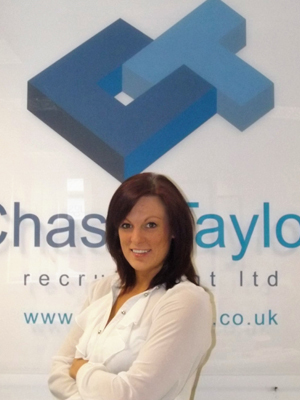 Emma always looks forward to meeting new candidates and is always quick off the draw to answer the Chase Taylor main phone! 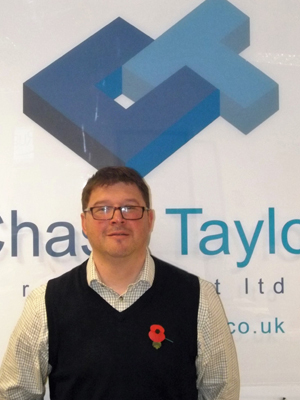 Introducing the newest recruit to the Chase Taylor team; Nathan Holmes! Nathan has recently completed a diploma in Business studies and has joined the team as a Trainee Consultant & Resourcer. 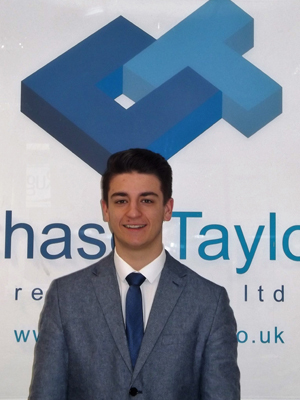 During his time with us so far Nathan has attended client meetings, successfully learnt the ways of the Chase Taylor database and almost remembered who drinks what in the office! 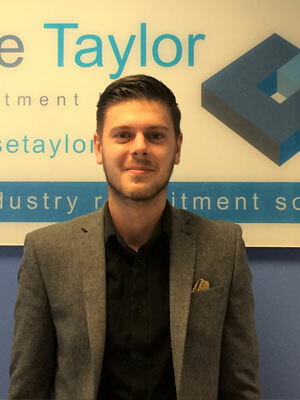 Nathan is a great addition to the team who will be reaching out to clients as well as candidates offering our expert services within Fenestration Recruitment.